1. Spot price of silver is your basis for figuring out how much you can get for your junk silver coins. While it’s highly unlikely that you can recover the actual value of silver, it helps to stay no more than 5% below the spot price of silver as your guide. Keep in mind that silver is measured in troy ounces, 1 troy ounce of silver is approximately 31.1 grams. 2. Demand for silver is another leading aspect of junk silver prices. If there’s currently a high demand for scrap silver from multiple industries, junk silver prices might get higher to attract more customers turning in their scrap silver pieces. 3. Silver supply is an important factor influencing junk silver prices. Junk silver suppliers are mostly individuals turning in their junk silver bags and major manufacturing businesses that use silver during their technological process. 4. Silver purity is important as to calculating junk silver prices. Your final junk silver prices are estimated depending on the purity of the silver pieces you own. Fine silver is considered silver of 99.9% purity, it is very impractical to use in manufacturing silver coins or jewelry since it’s too soft and is subject to considerable wear. Manufacturers use various alloys to make silver more wear resistant. You can determine the silver purity by carefully checking silver markings that are provided on the majority of sterling silver pieces. 5. 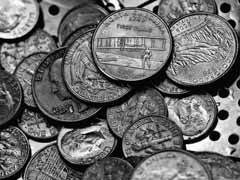 Where you go to turn in your silver can have an incredible impact of how much money you can get for your scrap silver coins. It’s generally wise to avoid middle men charging extra premium for their services and turn your junk silver directly to refineries and mints. Shop around to get the most money for your silver junk.